Students in Mrs. Harrell’s Math 2 class have been learning about distance-time graphs. 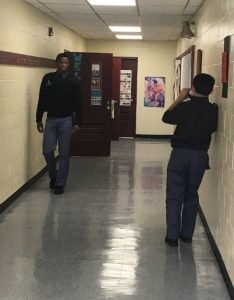 As a culminating experience, students had to plan their own 10-second video and create the accompanying graph. 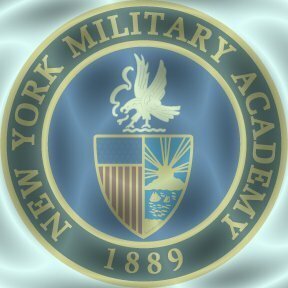 The cadets aren’t the only ones at NYMA that play basketball. 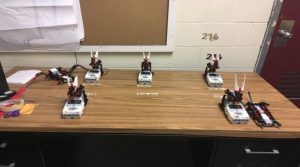 Our team of robots will soon be ready to shoot some hoops! During the building process, Cadets Maldonado and Kasujja have shown exemplary teamwork. Students in Ms. Furnia’s Biology class are learning about plants and photosynthesis by playing “the plant game.” While she wishes she could take credit for having created this game, she is actually making use of the resources developed by the Cornell Institute for Biology Teachers. This organization has created resources to help support the education of New York students since its inception in 1989. 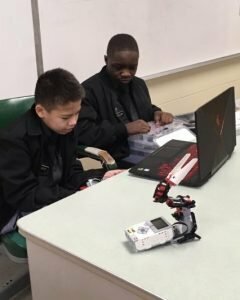 The students had a ton of fun and became very competitive while learning. Her Earth Science class is learning about weathering, erosion, and soil development. 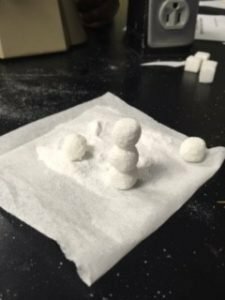 Their lab experience this week allowed them to model physical and chemical weathering by using sugar cubes to represent rock. The students even got creative and made a small winter wonderland with the “rocks” after all the weathering was complete. 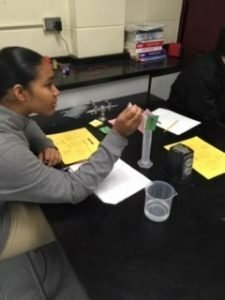 Her Forensics class is learning about the different techniques and measurements that are enlisted by scientists to figure out how long a person has been dead. They have been practicing using qualitative data such as lividity and consideration of environmental conditions such as location, weather, and clothing. They are learning how time of death is predicted based on rigor mortis and body temperature. Students are also learning some basic forensic entomology where scientists calculate time of death by looking at insect activity in a corpse. This might be their most gruesome chapter yet! 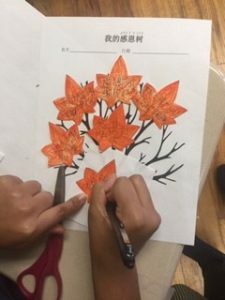 Before Ms. Dong’s Mandarin class left for Thanksgiving, she had all of her students make thank-you cards for their families in Mandarin. Each leaf says something that they were grateful for like their families, teachers, friends, etc. This was such a beautiful and thoughtful exercise.